TracTonneau roll-up truck bed covers only work with the Sliding TracRac System. 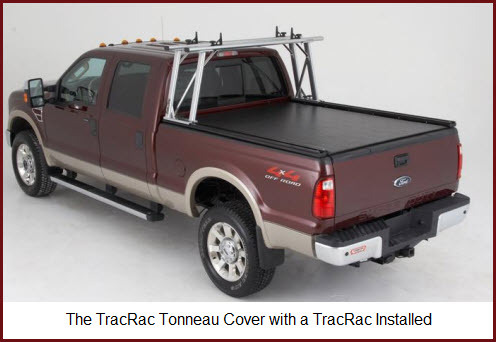 The TracTonneau is the only roll-up tonneau cover designed to be used with TracRac cargo management system for pickup trucks. So you can have a sliding or a fixed/removable rack system on your pickup to hold all kinds of stuff secure while you transport it and still have the benefits of a roll-up truck bed cover after you’ve unloaded your cargo. Here’s a bunch of features of the TracTonneau.